Hanoi (VNA) – As many as 59.6 percent of domestic construction enterprises expect stable or better business in the first quarter of 2019, while 37.5 percent of firms said that they are likely to meet more difficulties, according to a survey launched by the General Statistics Office (GSO). Brighter prospect is forecast for the non-State-owned sector as 35 percent said that their operation will be stable and 24 percent hopes smoother operation in the next few months. Meanwhile, the respective ratios of the State-owned sector are 32 percent and 24 percent and the foreign-invested sector are 38 percent and 20 percent. 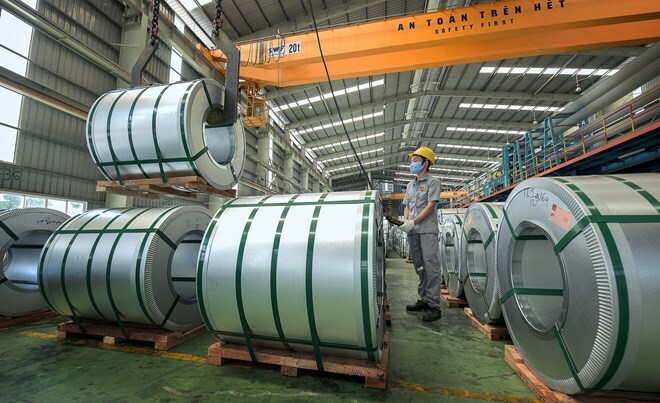 In the first quarter of 2019, production cost of FDI firms is expected to drop, as 43 percent of the surveyed firms said that the cost will be stable and 17 percent said that it will reduce. The percentage in non-State-owned firms is 30 percent and 19 percent, and State-owned enterprises are 33 percent and 15 percent compared to Q4 of 2018. According to the survey, which covers 5,300 businesses in the construction sector across the country, direct material cost will be more effective in all the three business sectors. Specifically, 50 percent of State-owned companies asserted that the direct material prices will continue to be stable or lower, so did 49 percent of the non-State owned firms and 62 percent of FDI businesses. In terms of labour cost in the first quarter of 2019, 56 percent of enterprises foresee stability or reduction, while 43 percent said that the cost will be higher compared to that in Q4 of 2018. In order to improve production, GSO Director Nguyen Bich Lam said that the Government and localities should focus on reviewing and completing the institution, cutting down business conditions that are hindering businesses’ operations and private companies, and effectively apply the one-door model to create better business environment.